JOANE CROMWELL (1895-1969) The daughter of Julia Brown & William Smith Strode. Joane Cromwell studied at the AIC and about 1920 moved to Southern California where she was a pupil of ANNA HILLS, EDGAR PAYNE and J.W.Smith at the Otis Art Institute. Cromwell lived in the coastal California towns of Hollywood, Dana Point, and Laguna Beach. 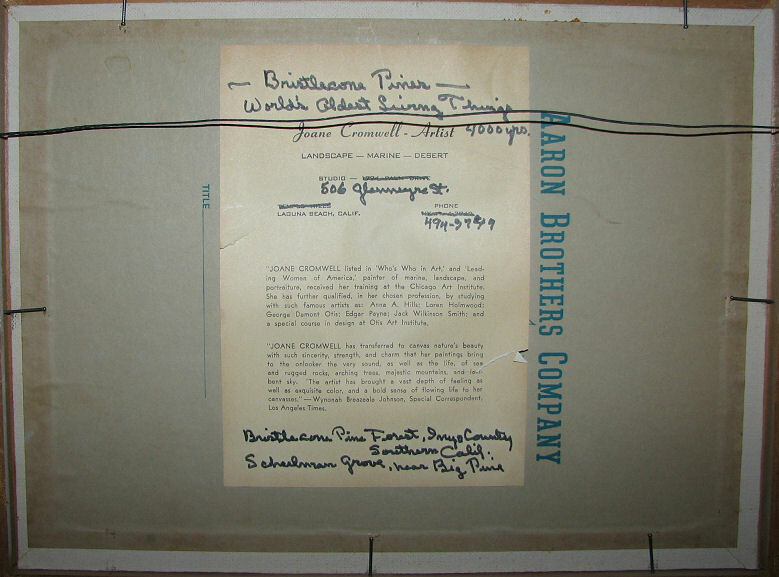 Joane Cromwell bio courtesy of HUGHES. 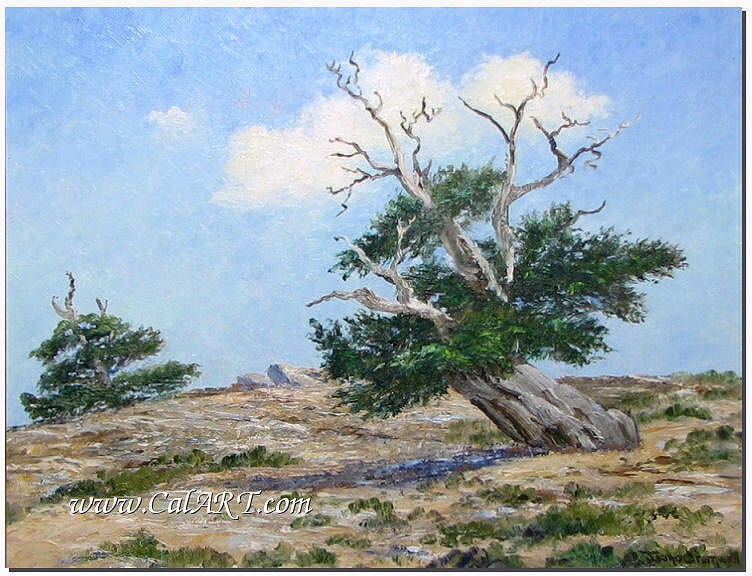 Original Landscape Painting of Bristlecone Pines Forest (Inyo County, CA) by California Plein Air Artist JOANE CROMWELL. Painting is signed lower right and titled on back with description in artists hand. 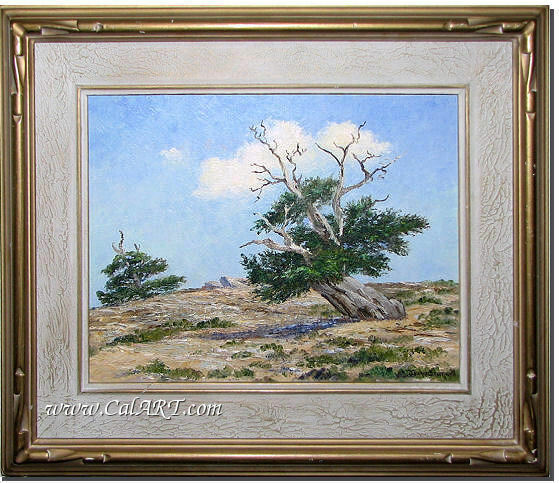 Piece is in original frame that measures 14" x 18" (painting measures 9" x 12") and is in excellent original condition. Please call or email me if you have ANY questions.